Honey Orchid Dan Cong Oolong Tea is crafted from the leaves of the Dan Cong bushes growing on Phoenix Mountain of Guangdong Province. 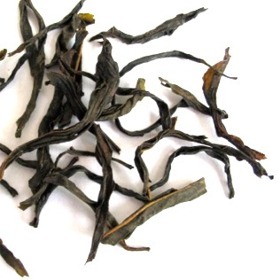 Typical of Dan Cong teas, it is described as having contradictory body and aftertaste. Dan Cong names ussually represent a flower because of the floral smell it has. Honey Orchid Dan Cong Oolong Tea simply means Honey Orchid fragrant. Honey Orchid Dan Cong Oolong Tea is a tea of extraordinary distinction. A coppery fruitiness fades into a savory flavor of honey and orchid aroma. Some says it has a sweet lychee flavor. Suitable for multiple infusions. This tea has long, unbroken leaves which are hand twisted. I ordered this item almost 6 weeks ago and I have never received it. The customer service is not responding to me when I ask for a refund!!! !